There’s a big market for anything that looks even slightly like Dark Souls. Games like The Surge and Nioh have been bolstered by being an approximation of FromSoftware’s masterpieces, though they do enough to stand on their own two feet. Motion Twin’s Dead Cells may pitch itself as a “Souls-lite”, but to compare it to any other game feels like a disservice to what is one of the most captivating and demanding games of the year. You play as The Prisoner, who is on a mission of vengeance for reasons that aren’t immediately spelled out. And he’s also a clumping of green worm-like creatures in Prince of Persia-esque attire. 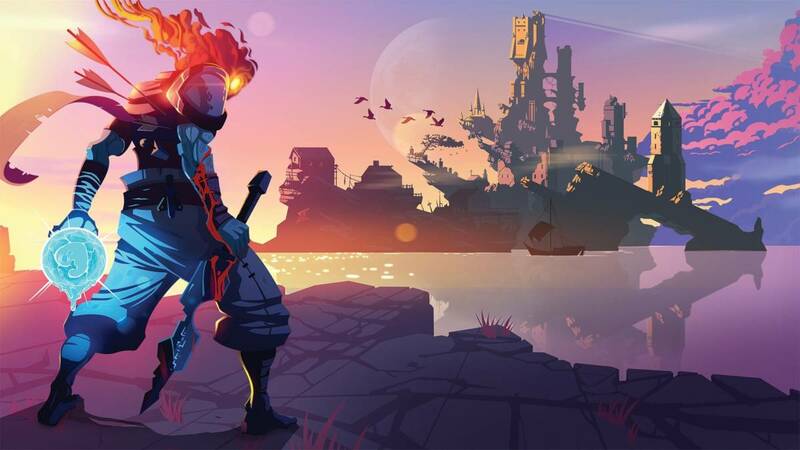 The story is ultimately an afterthought in Dead Cells, though there will be enough lore dotted around its many biomes to help you slowly piece some of it together. The main lure for Dead Cells isn’t the quest for revenge — it’s the gameplay. Billed as a rogue-lite metroidvania, you will die and die again while unlocking fairly marginal upgrades to increase The Prisoner’s chances of success. 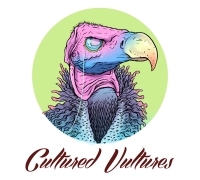 The attrition may turn players away during the first couple of hours where the grind is at its most potent and frustrating, as well as Dead Cells not shining like it does down the line. Once you’re dead, you’re dead. The only things you retain are the permanent upgrades known as runes and the skills you painstakingly acquired through saving up cells: the sporadic reward for killing enemies. This makes every inch of progress worth celebrating, a gradual test of patience as you make your way to a new area before quickly getting scythed down and having to start over. It’s lucky, then, that the combat is constantly engaging, always throwing a new (sometimes unbalanced) challenge your way. The Prisoner starts out with weaponry that is akin to bringing a stick to a gunfight before finding new delights scattered throughout the game’s biomes or acquired from a vendor. These range from a simple sword, a sword that makes enemies bleed, a rapier to live out your Zorro fantasies, a sword the size of Croatia, a hammer that would make Thor wince, and much more. Constant experimentation is key to finding a weapon that suits, though you should never rely on just the one crux in Dead Cells. The playstyle I depended on, perhaps naively, for the majority of my time with Dead Cells was a sword and shield combo. Parries with the shield would damage enemies and leave them open for attack, which became an artform for me before too long. However, I eventually hit a wall with this “loadout”, completely unable to progress when up against a screen full of stupidly fast miscreants. Once I felt the sweet embrace of death, I started over but sought out two ranged options instead: Palpatine lightning and a rapid-fire crossbow. I made short work of Dead Cells’ varied monstrosities, though I was constantly open to attacks without a shield to depend on. That’s when rolling came in to play, which is more difficult to pull off smoothly than throwing up a shield but has even more devastating consequences for the enemy. With the right timing, you can evade enemy attacks and approach them from their blindside. Dead Cells is also kind with the extra weaponry that you can call upon in a pinch. From simple grenades to a mollusc that shoots at enemies while attached to the ceiling, there’s a bevy of options to suit the predicament. A favourite of mine was to stop the fastest enemies in their tracks with a bear trap (of sorts) before using an automated crossbow turret to chip away at their health. As with the rest of the game, there’s a style for everyone. That style can further be augmented by leaning on mutations, which can give you things like extra HP, health after killing an enemy, or buffs to DPS when near enemies. These are selected by venturing into the safe zone in between areas, where you can also give your cells to The Collector for upgrades, replenish your health flask, and also reforge modifiers for your weapons. The modifiers themselves can make the difference all on their own. From simple things to giving you stronger critical hits to pink worms that nibble on your enemies, having modifiers can make even the most hectic of screens manageable. There will come a point in your run when you feel completely overpowered, like the baddest sack of worms to grace the island. It’s a great feeling and worth slogging towards, even if it’s for the hundredth time. After a while, you unlock the ability to have a random starting weapon, which is as big a lottery as you might expect. You can purchase better weapons from the vendor after finding their blueprints, though there are no guarantees that you will even come across it during a run. The Twin Daggers are hallowed weapons for the Dead Cells community thanks to their huge critical hits, but there’s just as much a chance of you using it from the off as there is something that almost puts you at a handicap. You start off fairly feebly during every run in Dead Cells with 100 HP and nothing but a dream. You can find scrolls dotted around the environment to upgrade your skills solely for that run, which will include better health and more powerful attacks based on three different principles. If you want your run to last more than a couple of biomes, you’ll need to hunt down these scrolls, meaning that clearing out every zombie and runner is key. Dead Cells fosters patience in the player, to take your time and explore every pixel of a room before moving on. How you make your way towards your ultimate goal depends on the runes you’ve unlocked, which will grant you powers to reach previously sequestered areas. The “default” path is the easiest, but if you want to gather as many cells as possible, you’re going to have to venture into the likes of The Toxic Sewers and The Ossuary. The risk is just as high as the reward in these areas: do you really want to jeopardise the inventory and progress you’ve cultivated only to come up against an Elite Cannibal and quickly meet your maker? While Dead Cells is a tough game, it’s by no means insurmountable. There’s always a path to glory, even if it looks closed off because of the unfair hand you’ve been dealt. It took me roughly twenty hours to complete my first run, after which there’s the option to return to the beginning and try your hand at an even tougher challenge. In fact, you can continue to test yourself multiple times beyond that, though my schedule wouldn’t allow it. It would have been all too easy for me to neglect my work and lose myself on the island time and time again, such is the “just-one-more-run” appeal of Motion Twin’s inspired hybrid. It’s worth mentioning at this point that I’ve been following (and covering) Dead Cells since it launched into Early Access last year. There’s not been a gigantic overhaul in that time as it was already a fairly polished title that early on, but Motion Twin have worked well to include new areas as well as to give its aesthetic a polish and to tidy up the UI. Dead Cells should really be recognised as a template for other Early Access titles to follow with it releasing in a commendable state despite being far out from its full release and also realising within a sane period of time. No game is perfect, however, and Dead Cells does have a couple of niggling irritations, though nothing that spoils the experience. A lot of your success is tied to the weapons you find with a solid all-rounder off the bat setting you up for success. However, if you find a slow and laboured weapon, the going is going to be a lot tougher and ultimately less fun. Dead Cells sometimes doesn’t offer you the chance to swap weapons depending on how lucky you are with the shop, so you may be stuck with a less than helpful weapon for far longer than you’d like. There also seems to be an imbalance between the weapons with some just not being suitable whatsoever for most scenarios. The aforementioned Twin Daggers are the bread and butter for any successful run, but the Nutcracker (giant hammer) and Broadsword (giant sword) are simply too slow for the latter stages. The special items also lean towards favouring turrets over anything else, so taking grenades instead feels like a waste of inventory space. However, these are ultimately just quibbles that you have to really hone in on if you want them to tarnish the Dead Cells experience. I’ve had to continuously go back in my review and add in mechanics I’ve missed, the little details that make Dead Cells such an essential experience — and I’m sure I’ve still not covered everything. There’s still a little ways to go in 2018, but Dead Cells is a dead cert to find its way onto many GOTY lists, mine included.